I probably have one more final post about this building, the Ann E. Pitzer Center, to come, but look! It’s nearly done! 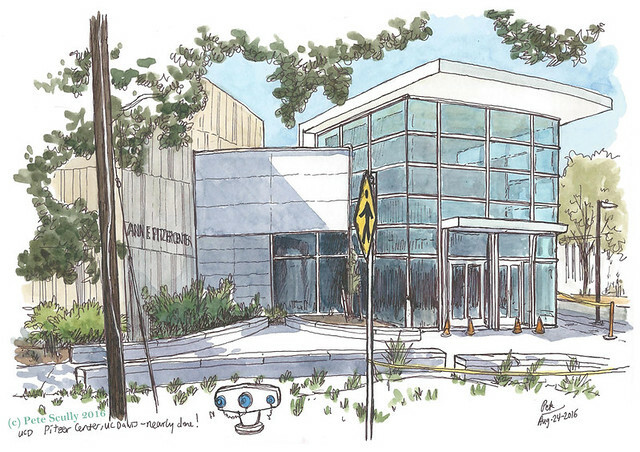 After all this time, the new music recital hall at UC Davis is set for its big opening. That sign on the building that says “Ann E. Pitzer Center” was only unveiled a couple of hours before I sketched this, at lunchtime earlier this week. It’s all very exciting. The grand opening events start on September 23 with jazz ensembles in the courtyard, followed by the Anderson-Roe Piano Duo in the Recital Hall, a concert by faculty and students of UC Davis on Sept 24, and a film screening of Koyaanisqatsi by composer Philip Glass on Sept 25, which will include a discussion betwen Philip Glass and music professor Pablo Ortiz. 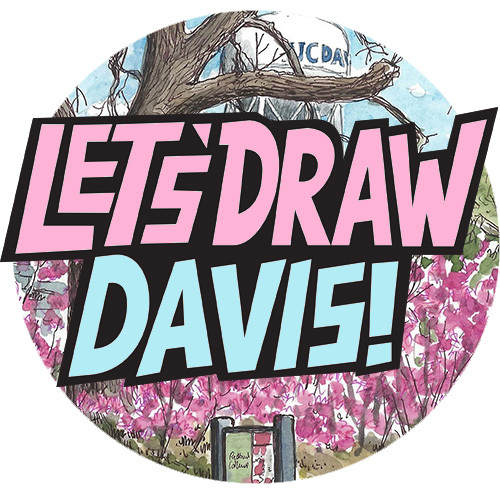 Here’s an article on the UC Davis website all about the Pitzer Center’s upcoming openings. I hope to go, I am eager to see the inside! Here are the previous chapters: PART SIX (May 2016), PART FIVE (Feb 2016), PART FOUR (Oct 2015), PART THREE (Aug 2015), PART TWO (Aug 2015), PART ONE (July 2015).